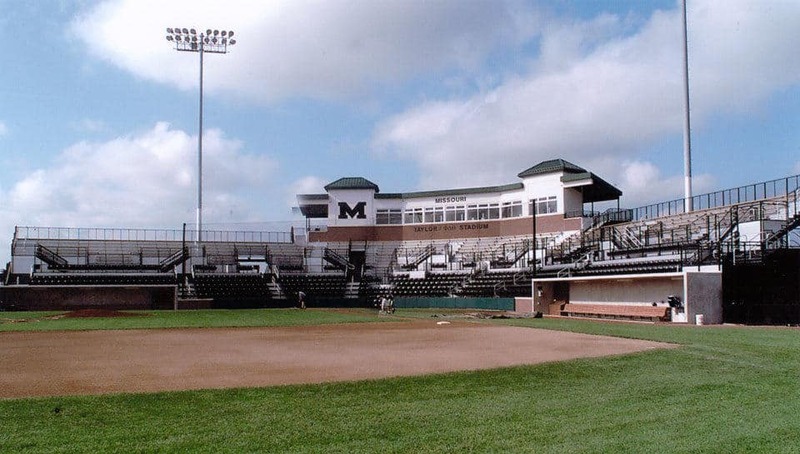 Baseball Stadium - University of Missouri - PWArchitects, Inc. Challenged by demanding time constraints and available funding, PWA along with the University, successfully transformed program and dreams into architecture. 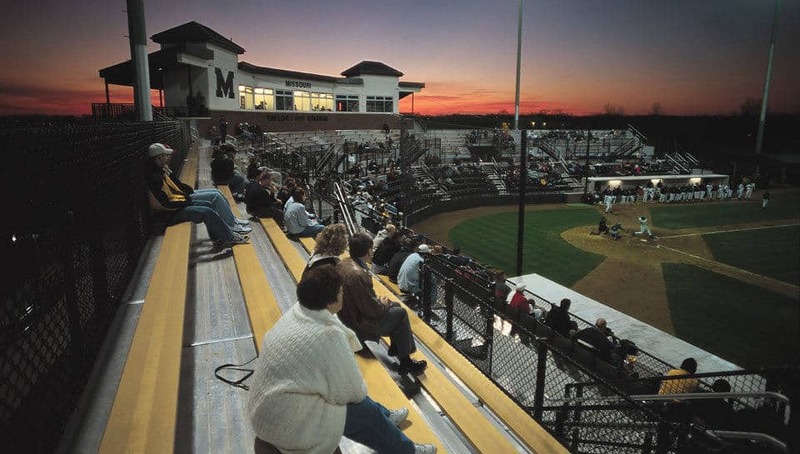 The 1,500 seat Taylor/Phi Delta Theta baseball stadium is divided vertically by a cross aisle with chair seats leading down to the field and bench seating up to the new press box level. The entry to the baseball stadium is 6’-0” below the field and concourse level. 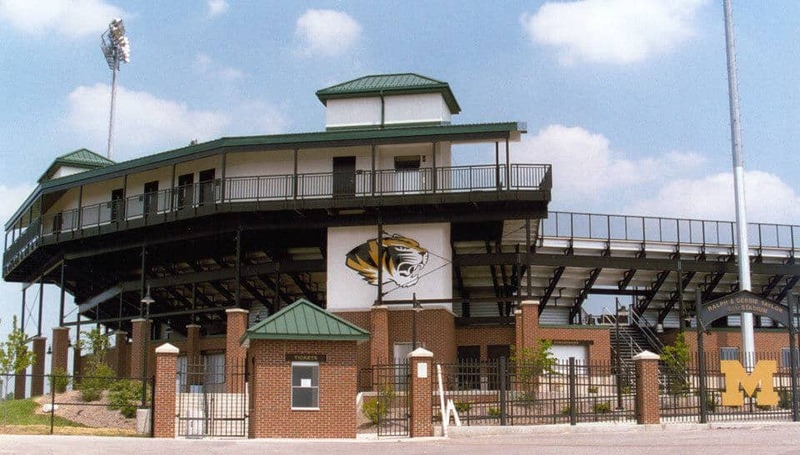 A ticket building, steel fencing, and brick columns greet the spectator with the stadium in the near background. Once inside, the landscaped entry plaza allows access to the concourse level by means of steps or a meandering walk. The 1,500 square foot press box houses game management functions, press broadcast, and an alumni room. An elevator to provide access to the ADA viewing areas also services the press box level, as well as the cross aisle. There are two outdoor viewing areas at either end of the press box. The facility has two new sunken concrete dugouts, a team room facility, umpires facilities, men’s/women’s toilets, concessions, and merchandising facilities. A mixture of brick, concrete masonry units, exposed concrete, and steel make up the materials of this facility that shows pride and dedication to architecture and sports.